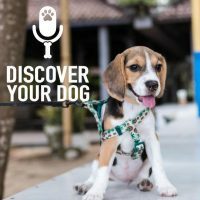 In Part 2 of this three part series, we dive a little deeper into the whys and whats of the leash pulling dog. You know that your dog has the tendency to pull on the leash. It’s what a dog inherently does. Let’s find out how to respond right in the moment when the dog starts pulling. Why does a dog tug on the leash in the first place? There are many triggers and attractions to your dog. A dog was not meant to be on a leash. They are hunters and foragers. Dogs live by their noses and want to have them on the ground almost all the time. Dogs are only being reactive and not analytical. You act upon those things around you in the moment you notice them. What to do THE EXACT MOMENT your dog starts tugging on the leash. How do you respond to the fact that your dog is now pulling you all over the place. Why do your actions work, or in your case, not work? AND, WHAT is important to remember in the moment? How you respond in these NOW moments is how you TEACH your dog to behave on the leash. Here is what you should always do in the moment that your dog tugs. When your dog starts to lunge your first action should be a quick NO and turn the opposite direction. You have to get your dog OUT of the situation. Now, as you are changing direction there will be a brief time your dog will walk with you loose on the leash. You have to praise during this time. What if you have put yourself in a corner, you can’t change directions? Or, what if you are half-way through your walk and you need to get home? You have no more time to change directions. Then, you will synch the leash up tight and you will get out of the situation. There is no talking, no looking, no touching your dog in this moment. You need to move out of the situation fast!